This package includes all the accessories you could want to fully equip your mini lathe. This accessory pakcage is for lathes that come from the factory with a 3" lathe chuck. This package includes all the accessories you could want to fully equip your mini lathe. This package is for mini lathes that come from the factory with a 4" lathe chuck. This mini lathe carriage lock mounts to the two tapped holes for mounting the follower rest. The carriage lock can be left in place for most operations. Complete set of good-looking steel change gears for the mini lathe. Chip tray for 7x10, C2A mini lathes. Sold individually for bench mounting or on a stand cabinet. For full cabinet with tray, see product #5623. This chip tray has been upgraded to be more robust than the trays that ship with most mini lathes. Chip tray for 7x12 C2C and SC2 mini lathes. Sold individually for bench mounting or on a stand cabinet. For full cabinet with tray, see product #5624. This chip tray has been upgraded to be more robust than the trays that ship with most mini lathes. Chip tray for 7x14 C3 mini lathes. Sold individually for bench mounting or on a stand cabinet. For full cabinet with tray, see product #5625. This chip tray has been upgraded to be more robust than the trays that ship with most mini lathes. Chip tray for 7x16 SC3 mini lathes. Sold individually for bench mounting or on a stand cabinet. For full cabinet with tray, see product #5626. This chip tray has been upgraded to be more robust than the trays that ship with most mini lathes. This 3” diameter ER-32 collet chuck mounts on the lathe spindle in place of the lathe chuck or can be used as a fixture on a milling table. ER collet chucks range in size from 3/32" up to 13/16" so you can run 25/32" (the through hole on the lathe spindle is 0.800") stock through the headstock of your mini lathe. The outside diameter of the lathe collet chuck is 80 mm. It has a 55 mm registration diameter and mounts with three M6 bolts on a 66 mm bolt circle. The adapter is precision ground to minimize runout. Drawtube allows 7/16" material to pass through. This compound rest top fits any mini lathe. It gives you two 8 mm T-slots with which you can mount anything you want. This cut-off, or parting, tool holder fits in the standard 4-way tool post (and most other tool posts) and holds 1/2" tall cut-off blades. The mini lathe parting tool holder is made of steel and has a 3/8 shank. Use 3mm hex wrench for screws. This cut-off, or parting, tool holder fits in the standard 4-way tool post (and most other tool posts) and holds 1/2" tall cut-off blades. 1/16" x 1/2" x 4-1/2" M2 HSS cut-off blade. These T-shape parting blades provide great side clearance. This mini lathe tool holder is made of steel and has a 3/8 shank. 3/8" Indexable GTN-2 Cut-Off Tool Holder includes a SLTBN0375-2 tool holder, NCIH 19-2 cut-off blade, 10 GTN-2 inserts and 2 allen wrenches. Tool holder dimensions (see photo) A1 is 0.472" A is 0.984" H2 is 1.161" H4 is 0.435" M is 0.118" C is 2.2"
5/16" Indexable GTN-2 Cut-Off Tool Holder includes a SLTBN0312-2 tool holder, NCIH 19-2 cut-off blade, 10 GTN-2 inserts and 2 allen wrenches. Tool holder dimensions (see photo) A1 is 0.472" A is 0.984" H2 is 1.161" H4 is 0.435" M is 0.118" C is 2.2"
This is the M12 drawbar for the mini lathe with the 3 Morse Taper spindle. This drawbar is an M12 x 120 cap screw and a flat washer. They are both hardened for long life. This kit will convert your steady rest to a ball bearing steady rest. Drill and tap your existing fingers #10-32. Use an arbor press to push the cap screw through the bearing. Assemble with the lock washer behind the bearing to provide clearance. The kit includes three bearings, three cap screws and three lock washers. The attractive hand wheels are all metal, and the levers are chrome. This denim lathe cover provides protection for your lathe when you are not using it. The denim cloth breathes preventing moisture build-up under the cover. This lathe dog set will handle material sizes from very small up to 1.5" diameter. It includes driver pins for lathes with an 80 mm spindle flange (including mini lathes), and lathes with a 100 mm spindle flange. Lathe dog for the mini lathe. Use a lathe dog to drive the work when you are turning between centers. This lathe dog has a capacity of 10 mm (0.39"). Lathe dog for the mini lathe. Use a lathe dog to drive the work when you are turning between centers. This lathe dog has a capacity of 15 mm (0.59"). Lathe dog for the mini lathe. Use a lathe dog to drive the work when you are turning between centers. This lathe dog has a capacity of 20 mm (0.79"). Lathe dog for the mini lathe. Use a lathe dog to drive the work when you are turning between centers. This lathe dog has a capacity of 30 mm (1.18")). Lathe dog for the mini lathe. Use a lathe dog to drive the work when you are turning between centers. This lathe dog has a capacity of 40 mm (1.57"). The milling attachment replaces the compound rest on the mini lathe. The vise opening is 1.9". The width of the vise is 2.6" and the depth is 1.4". The travel is 3.6". The dial is graduated in 0.025 mm (approximately 0.001") and there are 60 divisions, so the advance is 1.5 mm (0.059") per revolution. This package includes drawbars for all mini lathes. For other lathes you will probably need to make a drawbar from 3/8-16 threaded rod. The 1681 mini lathe milling attachment replaces the compound rest on the mini lathe. The vise opening is 1.9". The width of the vise is 2.6" and the depth is 1.4". The travel is 3.6". The dial is graduated in 0.025 mm (approximately 0.001") and there are 60 divisions, so the advance is 1.5 mm (0.059") per revolution. This lathe milling machine attachment should work on most any lathe with 7" or greater swing with the addition of a shop-made adapter block to adapt the bolt pattern to fit the lathe. Use this in conjunction with a 3" 3-jaw chuck in place of a live center. No more center drilling. This works great for long, large diameter work pieces where a live center or steady rest just won't cut it. Three ball bearings for heavy duty loads and relatively high speed. **NOTE** Chuck is not included, but it works great with our 1187 lathe chuck. This, and a Proxxon IB/E Professional Rotary Tool makes an internal/ external tool post grinder. Maximum diameter for grinding is about 1/2". This mount does not work with Dremel rotary tools. This single column two door design black stand comes with a built in cabinet and is suitable for all 7x10 C2A mini lathes. The cabinet has one shelf. The chip tray has been upgraded to be more robust than the trays that ship with most mini lathes. Has bolting slots for securing the stand to a floor for additional stability and safety. This single column two door design black stand comes with a built in cabinet and is suitable for all 7x12 C2C/SC2 mini lathes. The cabinet has one shelf. The chip tray has been upgraded to be more robust than the trays that ship with most mini lathes. Has bolting slots for securing the stand to a floor for additional stability and safety. This single column two door design black stand comes with a built in cabinet and is suitable for all7x14 C3 mini lathes. The cabinet has one shelf. The chip tray has been upgraded to be more robust than the trays that ship with most mini lathes. Has bolting slots for securing the stand to a floor for additional stability and safety. This single column two door design black stand comes with a built in cabinet and is suitable for all 7x16 SC3 mini lathes. The cabinet has one shelf. The chip tray has been upgraded to be more robust than the trays that ship with most mini lathes. Has bolting slots for securing the stand to a floor for additional stability and safety. These two steady rests will support work from 0" to 2.15" (0 - 55 mm) diameter. One has plain brass fingers, one has ball bearing fingers. The fingers are interchangeable so you can use the appropriate type for the job at hand. You can order this mini lathe steady rest package and other mini lathe accessories online at LittleMachineShop. This is a kit of all the parts required to make a complete tailstock for the mini lathe. The center height of this tailstock is approximately 90 mm. The quil is 2 Morse taper. These are the screws that clamp tools in the standard 4-way tool holder on the mini lathe. This tool post grinder includes a mounting bracket to fit the C4 and SC4 lathe. To install it, you simply replace the compound rest. The grinder comes with 2 different grit grinding wheels (60 and 80 grit), and the tools needed to change them. Motor 150 watts, 120V, 60 Hz. The tool post grinder is approximately 8" tall, 9" long and 3.5" thick. This tool post grinder includes a mounting bracket to fit the C6 and SC6 lathe. To install it, you simply replace the compound rest. The grinder comes with 2 different grit grinding wheels (60 and 80 grit), and the tools needed to change them. Motor 150 watts, 120V, 60 Hz. The tool post grinder is approximately 8" tall, 9" long and 3.5" thick. This tool post grinder is designed specifically for the mini lathe. To install it, you simply replace the compound rest. The bottom of the mounting foot is approximately 50 mm (2") below the centerline of the grinding wheel. The grinder comes with 2 different grit grinding wheels (60 and 80 grit), and the tools needed to change them. Motor 150 watts, 120V, 60 Hz. This mini lathe tool post grinder is approximately 8" tall, 9" long and 3.5" thick. 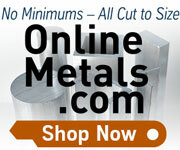 Get the right tools for your mini lathe and order this tool post grinder for sale today. Four-position tool post for the mini lathe. This is the tool holder that comes on the mini lathe. On most mini lathes it is the correct size for 5/16" tools. On "early" Homier and Cummins lathes it is the correct size for 3/8" tools. The tool holder is 2" square and 1.5" tall. The tool slot is 0.64" tall and is 0.32" from the bottom. This package contains our best versions of all the tooling you need to be productive with your 7x10, 7x12, 7x14, or 7x16 mini lathe. The package does not include a quick change tool post because there is one on the model 5200 lathe. Drill Chuck: The 1/2" capacity professional grade drill chuck is mounted on a short 2MT shank for the mini lathe. Specifically designed for the mini lathe tailstock, the rated capacity is 1 mm (0.039") to 13 mm (0.512"). All working parts are hardened. Chuck key included. Number 33 Jacobs taper mount. This chuck is comparable to a Jacobs 34-33 heavy duty drill chuck, including the runout specification of 0.004" (0.10 mm) or less. Indexable Inserts: Indexable turning tools are made by AR Warner Co in the USA. These Warner precision tool holder kits use carbide inserts and include three styles of tools, AR right hand, E Neutral (threading tool - 60° angle), and AL left hand. Kit includes three tool holders, TCMT inserts, one extra TCMT-21.52 carbide insert, one extra Torx screw, and one wrench. Boring Bar: This 3/8" diameter indexable boring bar uses CCMT inserts and is 6" long. The minimum bore diameter for this is 0.50". The boring bar takes CCMT 21.51 or CCMT 21.52 inserts. Cut-Off Blade: The premium P1 parting blade is 1/16" x 1/2" x 4-1/2" and made from M2 HSS by Arthur R. Warner Co. in the USA. These T-shape parting blades provide great side clearance. Center Drills: Five sizes combined drills and countersinks made of high speed steel. Sizes 1, 2, 3, 4, and 5 with 60 degree counter sinks. This mini lathe tooling package contains all the tooling you need to be productive with your 7x14 mini lathe on the first day you own it. The Tormach 0XA quick change tool post set (QCTP). This mini lathe tooling package includes the tool post and the following tool holders: 2 - #1 Turning & Facing 1 - #2 Boring, Turning & Facing 1 - #4 Heavy Duty Boring will hold both 3/8 and 1/2 boring bars 1 - #7 Universal Parting Blade (for 1/2 inch cut-off blade - horizontal) The wedge type quick change tool post is made of steel and all working parts are hardened and ground. No tools are required to change tools. Additional tool holders are available. The turning tool holders accept tools with 1/4" to 1/2" shank. The boring tool holder accepts boring bars with 3/8" or 1/2" round shanks. The cut-off tool holder holds 1/2" tall parting blades. The 1/2" capacity drill chuck is mounted on a short 2 Morse taper shank for the mini lathe. This chuck is specifically designed for the mini lathe tailstock. The rated capacity of the drill chuck is 1 mm (0.039") to 13 mm (0.512"). The set of indexable turning tools includes 5 tools (TAR, TAL, TBR, TBL, TE), inserts, a wrench, and extra screws. It comes in a wooden case. The carbide inserts are TCMT21.51. The carbide tipped 9-piece boring bar set includes three different length boring bars each for minimum bores of 5/16", 3/8", and 7/16". The bore depth ranges from 3/4" to 2-1/4". The heat treated, alloy steel shanks are held to 0.000 to -0.0005" from the nominal diameter. The P1 parting blade is 1/16" x 1/2" x 4-1/2" and made from M2 HSS. These T-shape parting blades provide great side clearance. This mini lathe tooling package includes 4 different sizes of combined drills and countersinks, commonly called center drills. The center drill set is high speed steel and includes sizes 1, 2, 3, and 4. These are 60 degree center drills. These are the sizes that are most used by bench top machinists. This package contains our best versions of all the tooling you need to be productive with your 7x10, 7x12, 7x14, or 7x16 mini lathe. QCTP: The 0XA (Series 000) quick change tool post features all steel construction and wedge type tool post for better clamping and repeatability. All working parts are hardened and ground. Sealed for maintenance-free operation. Tool holders designed for mini lathes and other lathes with limited distance from the top of the compound to the center of the lathe. This tool post mounts with an M10 stud, which is included. This set includes the tool post and the following tool holders: 2 - #1 Turning & Facing 1 - #2 Boring, Turning & Facing 1 - #4 Heavy Duty Boring will hold both 3/8 and 1/2 boring bars 1 - #7 Universal Parting Blade (for 1/2 inch cut-off blade - horizontal) Drill Chuck: The 1/2" capacity professional grade drill chuck is mounted on a short 2MT shank for the mini lathe. Specifically designed for the mini lathe tailstock, the rated capacity is 1 mm (0.039") to 13 mm (0.512"). All working parts are hardened. Chuck key included. Number 33 Jacobs taper mount. This chuck is comparable to a Jacobs 34-33 heavy duty drill chuck, including the runout specification of 0.004" (0.10 mm) or less. Indexable Inserts: Indexable turning tools are made by Arthur R. Warner Co. in the USA. These Warner precision tool holder kits use carbide inserts and include three styles of tools, AR right hand, E Neutral (threading tool - 60° angle), and AL left hand. Kit includes three tool holders, TCMT inserts, one extra TCMT-21.52 carbide insert, one extra Torx screw, and one wrench. Boring Bar: This 3/8" diameter indexable boring bar uses CCMT inserts and is 6" long. The minimum bore diameter for this is 0.50". The boring bar takes CCMT 21.51 or CCMT 21.52 inserts. Cut-Off Blade: The premium P1 parting blade is 1/16" x 1/2" x 4-1/2" and made from M2 HSS by Arthur R. Warner Co. in the USA. These T-shape parting blades provide great side clearance. Center Drills: Five sizes combined drills and countersinks made of high speed steel. Sizes 1, 2, 3, 4, and 5 with 60 degree counter sinks. This package contains all the tooling you need to be productive with your 7x10, 7x12, 7x14 or 7x16 mini lathe on the first day you own it. The 0XA quick change tool post set (QCTP). This mini lathe tool set includes the tool post and the following tool holders: 2 - #1 Turning & Facing 1 - #2 Boring, Turning & Facing 1 - #4 Heavy Duty Boring will hold both 3/8 and 1/2 boring bars 1 - #7 Universal Parting Blade (for 1/2 inch cut-off blade - horizontal) The wedge type quick change tool post is made of steel and all working parts are hardened and ground. No tools are required to change tools. Additional tool holders are available. The turning tool holders accept tools with 1/4" to 1/2" shank. The boring tool holder accepts boring bars with 3/8" or 1/2" round shanks. The cut-off tool holder holds 1/2" tall parting blades. The 1/2" capacity drill chuck is mounted on a short 2 Morse taper shank for the mini lathe. This chuck is specifically designed for the mini lathe tailstock. The rated capacity of the drill chuck is 1 mm (0.039") to 13 mm (0.512"). The set of indexable turning tools includes 5 tools (TAR, TAL, TBR, TBL, TE), inserts, a wrench, and extra screws. It comes in a wooden case. The carbide inserts are TCMT21.51. The carbide tipped 9-piece boring bar set includes three different length boring bars each for minimum bores of 5/16", 3/8", and 7/16". The bore depth ranges from 3/4" to 2-1/4". The heat treated, alloy steel shanks are held to 0.000 to -0.0005" from the nominal diameter. The P1 parting blade is 1/16" x 1/2" x 4-1/2" and made from M2 HSS. These T-shape parting blades provide great side clearance. This package includes 4 different sizes of combined drills and countersinks, commonly called center drills. The center drill set is high speed steel and includes sizes 1, 2, 3, and 4. These are 60 degree center drills. These are the sizes that are most used by bench top machinists. Get the right tools for your mini lathe at LittleMachineShop. These are jigs that hold the telescoping lead screw cover end brackets in the correct location so you can use a transfer punch to mark the hole locations. They are not necessary, but they make the job easier. The mini lathe tool rest clamps in the standard tool post so you can turn wood on your mini lathe. The driving center fits in the lathe spindle.